This entry was posted on 25/01/2011 at 9:35 am and is filed under Cakes, Recipes, Scottish food with tags Baking, Cakes, Cupcakes, Food, Irn Bru, Irn Bru cupcakes, Recipes. You can follow any responses to this entry through the RSS 2.0 feed. You can leave a response, or trackback from your own site. I am so making these it’s not even funny. Irn Bru is for winners! I can’t believe how tasty these look and sound! The little blue straws are inspired stuff, Libs. This is literally the greatest thing I have ever seen. Good lord I love my Scottish roots. 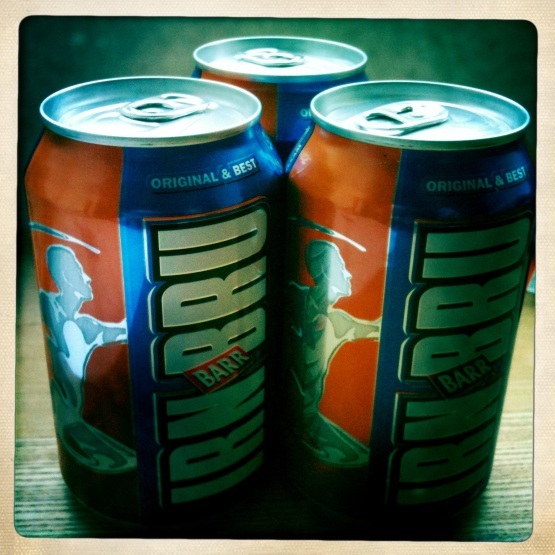 If someone can find me a tastier drink than Irn Bru, the world will implode. This is a fact. Just made these today. DON’T WASTE YOUR TIME! Unfortunately the recipe is terrible. You end up pouring liquid into cupcake cases and then the cakes completely collapse when they come out the oven and are nothing like sponge. Hi Colin – sorry you feel that way. I didn’t have any problems when making this recipe. 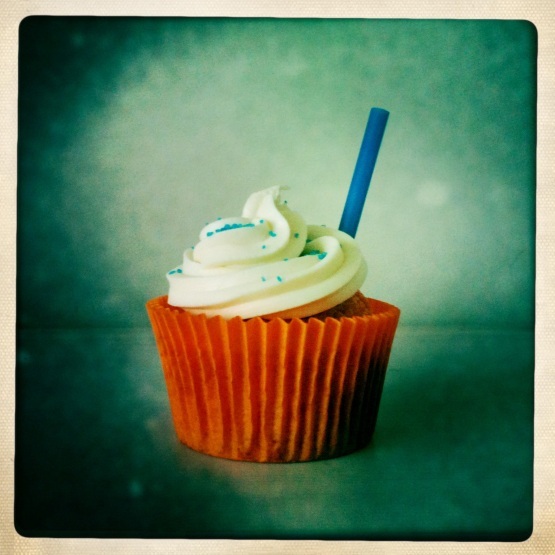 The cupcake batter is quite runny, compared to conventional cupcake mixture, but that’s the nature of cooking with soft drinks. I don’t think it would actually be possible to make a genuine sponge cake using a sugary drink in the ingredients! You can always thicken it up a bit by adding some more flour. totally agree Colin – was SO looking forward to making these but they were a complete disaster. At least I had the rest of the bottle of Irn Bru to drink!! they do sound fun to make but i not sure, i think my husband may eat them even if they didn’t come out right but i shall give it a go very soon. Thanks Jen – as I said, I don’t think it’s possible to avoid the mixture being a bit thinner than conventional sponge mix, but if you do come up with a winning formula then please do let us know! Brilliant – let us know how you get on! I would suggest adding 10 minutes to the cooking time. The cakes were not cooked after 20 minutes. The basic Victoria sponge recipe with milk replaced by irn bru may work better. Recipe sounds great will definitely try, does anyone know of or have a recipe for Irn Bru Fudge? have heard its really good! 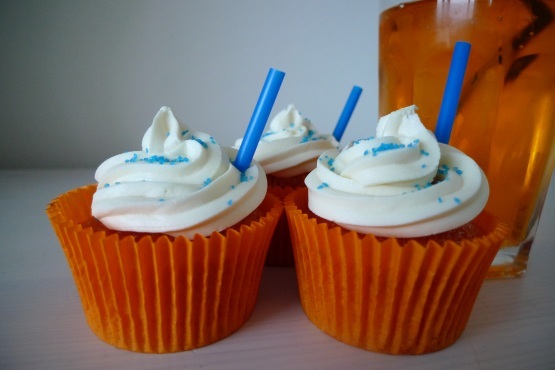 Great to find an Irn Bru cup cake some where else as I thought it was only me that made them although my recipe is so different I’m only a work from home cake company so no competition : ) you can have a look at http://www.bitemecakeco.co.uk and if you really want there is a Facebook link on that site! Based in Scotland Irn Bru cup cakes are a must haha! Phenomenal.